SURREY— The Christy Clark government’s failure to build new schools in B.C.’s fastest-growing city is so bad that the City of Surrey has asked the province to consider privatization of public school construction – a sign of the desperation of parents whose children are learning in overcrowded classrooms and portables, says New Democrat leader John Horgan. 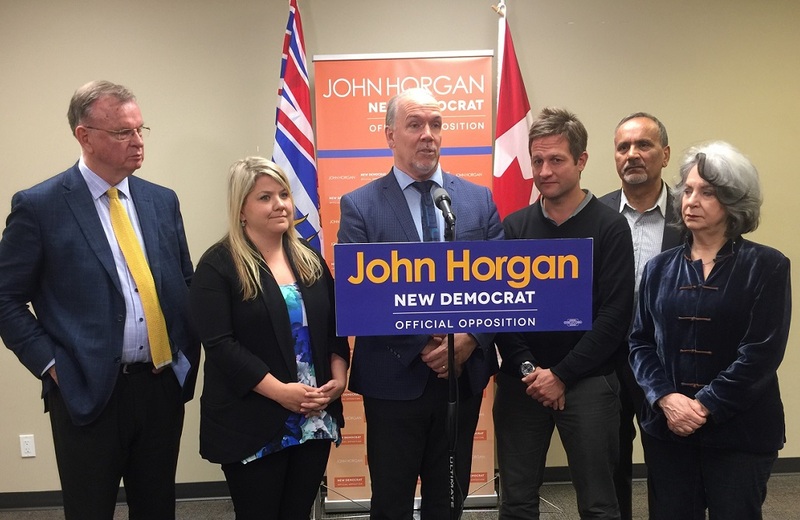 “I understand the desperation that local government and parents feel in the face of Christy Clark government’s neglect, and I want parents to know that it doesn’t have to be this way,” said Horgan. Horgan said privatization of public school construction has failed miserably and has been abandoned as a solution in other provinces and countries because it costs taxpayers more than public construction and ownership of schools. Horgan pointed out that privatization contracts pay for multiple levels of profit – not just to construction contractors, but also to financiers, lawyers and long-term service contractors. As time goes on, contracted costs rise, school budgets will tighten and the quality of students’ education will fall. “Every extra dollar that goes into these contracts will be a dollar less for classroom enrichment,” said Horgan. “This is about Christy Clark’s priorities, and it’s pretty clear her priority is not quality education for families in Surrey. “Despite years of warnings and calls for action by the community, the Christy Clark government has failed to plan, fund and build new schools to meet growth. Now there is a huge backlog in school construction, with 7,000 children learning in sub-standard portables and at least 1,000 new students added to the school district every year.